You know that saying about putting too much on your plate? I think I’ve exemplified that literally (with my eating like an NFL football player at a competitive pace) and figuratively, taking on 87 different things at once pretty much ever since I was able to select my own activities. I ditched Girl Scouts and WOYSA soccer once I got to middle school. I started classes last week and for some reason think it’s a great idea to not only keep the 5 jobs I already have, but add on my full class schedule and research position. Between today and Monday I’m somehow working all of them. Maybe I should schedule ‘sleep’ into my iCal. As we speak, I’m posting from lifeguarding because the pool is closed for thunder. Thank you, WordPress app! Really my main concern here is that I won’t have any time to eat, let alone cook. Luckily I did get a chance to go home for Labor Day weekend, and I made panzanella, which I feel is analogous to my life. A gigantic bowl of assorted ingredients that somehow come together to make a pretty colorful mess. I had a sous chef/photographer helping me out, hence my hands/shameless side ponytail/sloppy self making an appearance in some of the photos. Cut up all the veggies into large (but bite sized) pieces. 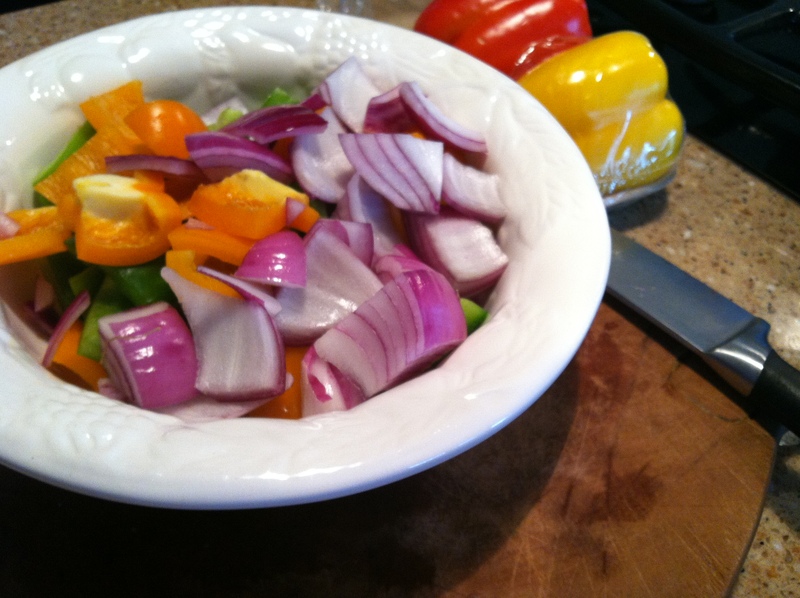 Toss the peppers, onion, and eggplant in a little bit of olive oil, salt and pepper to prepare for the grill. I found that it was easiest to skewer the veggies, but if you have a grill with a narrower grate that won’t let things slip through, you can skip that step. Chop up the tomatoes and cucumbers and set aside. Here’s my special method for cutting up cucumbers all fancy. Peel and cut off the ends. 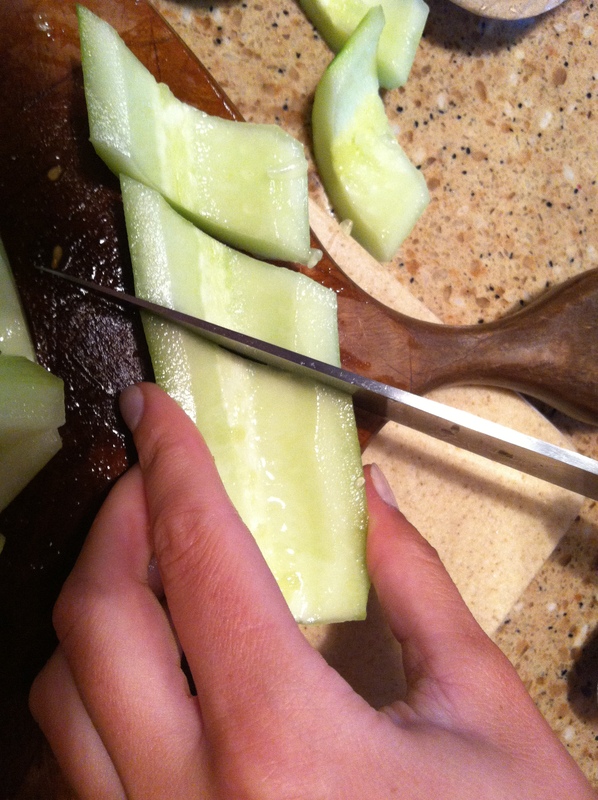 Slice lengthwise and scoop out the seeds using a spoon. Slice diagonally. 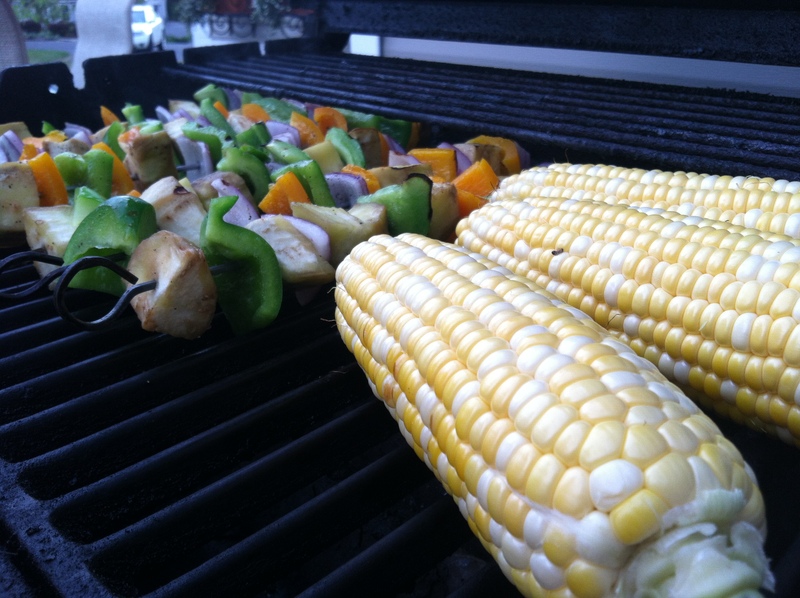 Grill the veggies and the corn until lightly charred. Remove from heat, and set aside. 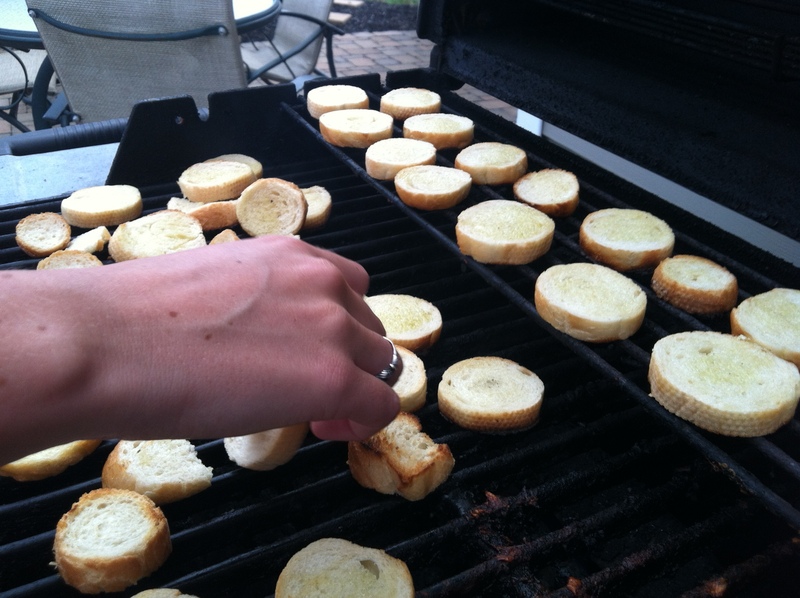 Brush the bread with a little bit of olive oil on one (or both) sides, and place on the grill. You could also do this in the oven, especially if you’re making it when it is no longer grilling season, but I wanted to be as authentic as possible. Careful, the bread browns quick so you have to be a master flipper. 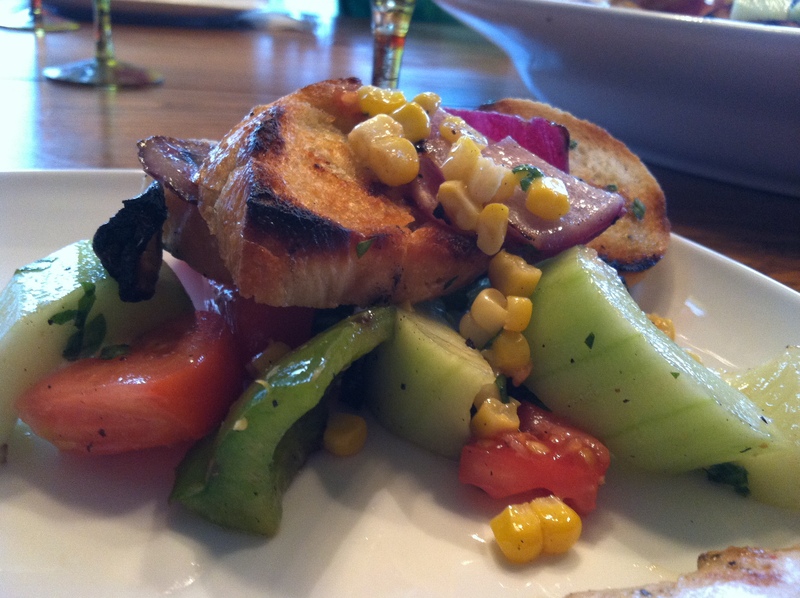 Combine the bread, grilled veggies (including corn removed from cob), tomatoes and cucumbers. 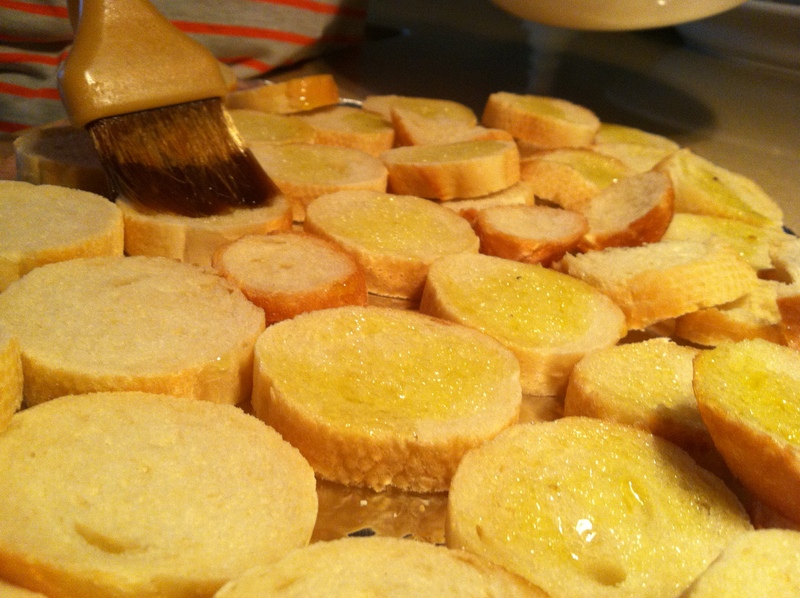 Combine garlic, vinegar and Dijon, then stream in olive oil to taste. 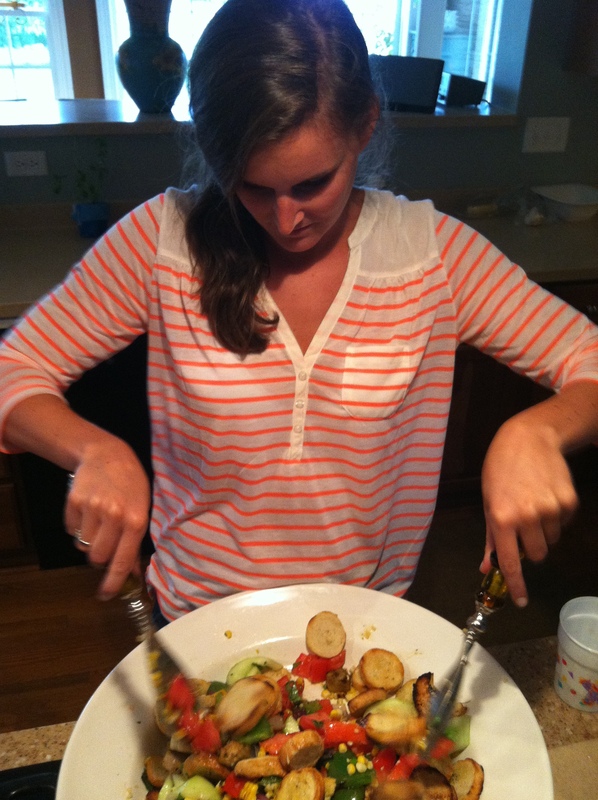 Pour over the bread and vegetables, and toss together. Top with fresh basil. We also added feta cheese to some of it which was a nice addition. This is a great concept because you can use whatever bread you like, and add whatever vegetables you like. 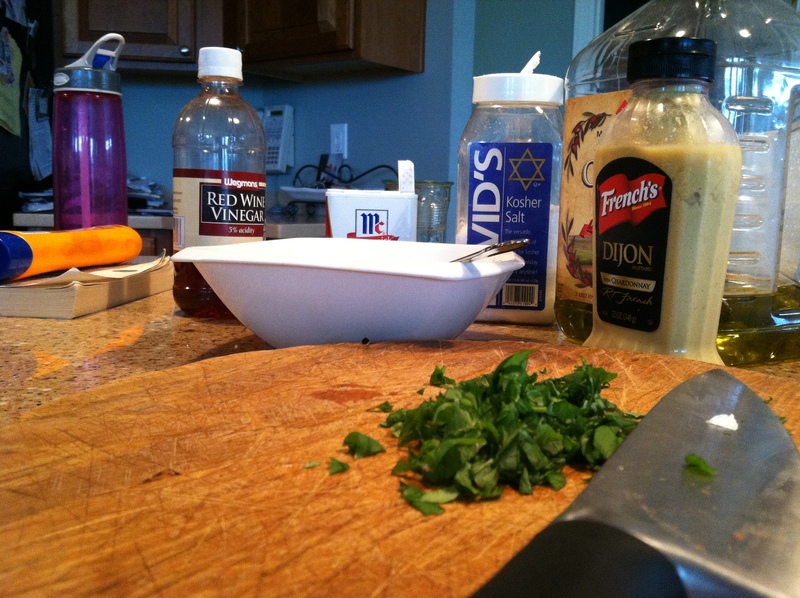 You can also adjust the dressing, or use a pre-made dressing if you prefer. Come October, I’ll get my act together. AKA piss off some bosses and quit at least two jobs. Bring on the fall veggies and pumpkin flavored everything, I’m not giving up the kitchen.